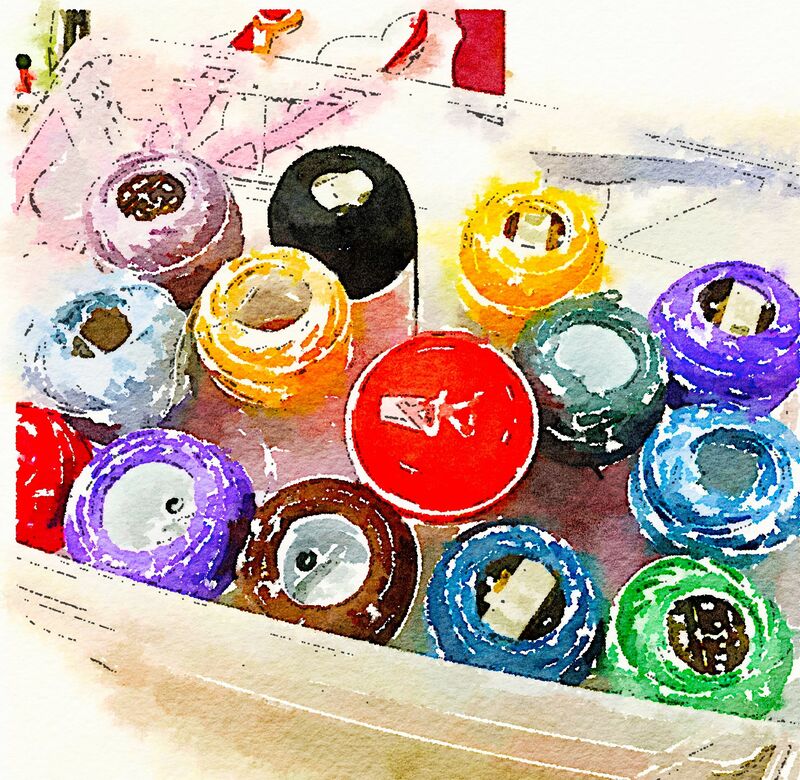 This photo, a box of perle cotton balls, is Painted in Waterlogue. One reason I like this app so much is that it does such wonderful things with color… and, I am finding that the part I really, really like the most about my morning seeing/drawing/watercoloring exercise is playing with color…as I make my dailies, I often envision the final product as a mini quilt or larger sized watercolor story. The process is so peaceful and restorative. Best of all, I’m seeing that I see all sorts of possibilities as a result of this practice. To be continued, definitely! 20 May	This entry was written by Honoré and published on May 20, 2015 at 12:52 pm. It’s filed under Color, Honoré, Painted in Waterlogue. Bookmark the permalink. Follow any comments here with the RSS feed for this post. Ahhh, what fun! Love seeing you show up in living COLOR on Wednesdays!